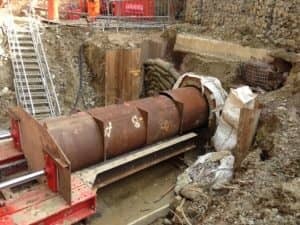 OnSite has years of experience using the underground technique of pipe jacking to install pipelines, culverts and cuts. Our powerful hydraulic jacks push well designed pipes through the ground behind a shield. Whilst the pipe is pushed through the earth; excavation takes place within the shield. Pipe sizes range from 900mm up to 1800mm diameter.